My love for photography begins many years ago traveling outside the continent, especially in Africa, America and Asia. From those places I have collected an endless series of images of looks, daily gestures, places … everything what aroused emotions of any kind. When I see that these emotions are transmitted through my works, then I feel like I’ve hit the mark. I love having the camera in my hand and making it my tool for telling stories. In this case, the story of a love and its crowning in marriage. 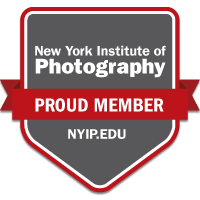 I graduated at the New York Institute of Photography in wedding photography, attended several wedding photography specialization workshops including the Italian Institute of Photography in Milan and in Florence with Roberto Panciatici. I received the honors of AFI Artist Italian photographer FIAF, AFIAP Artiste de the Federation Internationale de l'Art Photographique (recognized by UNESCO) and EFIAP Exellence de la Federation Internationale de l'Art Photographique (recognized by UNESCO). I have exhibited in various personal exhibitions like the Triennale of Italian photography in Venice and won the FIAP world cup in 2014.
davide gasparetti photographer P.Iva 04446130272.